Another bargain bin item that I bought without having any idea about what it was... Bad Brains cover rip? Check. 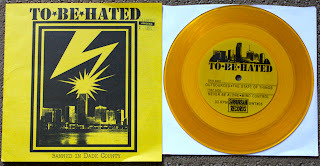 Yellow vinyl? Check. Hand numbered sleeve? Check. Yeah that's good enough for me to throw down my two dollars. 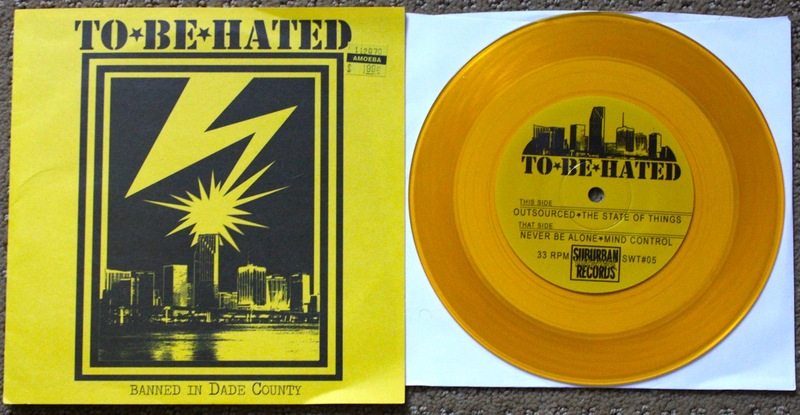 I love the Bad Brains rip of the lightning bolt hitting Miami. Then I didn't really put it together until I got home that "DC" = Same initials as Dade County. Also the facts that it was hand numbered and on color vinyl, I figured I would just take a shot at it. I haven't listened to it yet and for all I know it could be terrible, but atleast I walked away with a cool looking record.